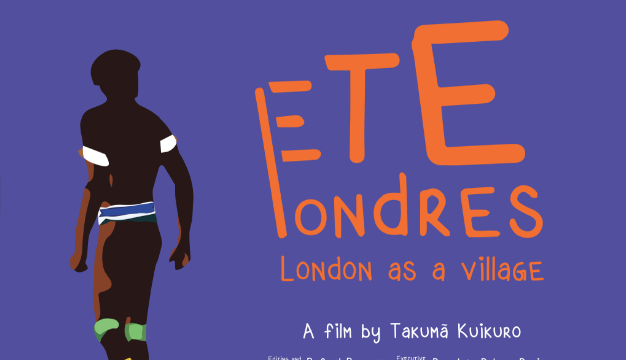 In April 2015, Takumã Kuikuro travelled all the way from his village, set within the Xingu Indigenous Territory (Central Brazil), to the UK to take up a challenge from People’s Palace Projects: to spend a month in London producing and directing a film that would capture his vision of the city as a “village”. Takumã was selected from dozens of applicants through a grant scheme called ‘Culture Connection Brazil’, promoted by Brazil’s Ministry of Culture with the support of the British Council and the Transform Programme. He was commissioned to record London from an indigenous perspective, exploring similarities and differences between his Kuikuro culture and the Londoners he christened “the Hyper-Whites”. The result is a captivating and humorous anthropological documentary about western society and the many villages hidden under the skyscrapers of London. The screenings and talks with Takumã Kuikuro are part of TACE – The Art of Cultural Exchange studies, which proposes an investigation into cultural exchange as an act of translation. It will focus on the transformations sought through the exchange of artists, arts production and artistic methodologies. The research project will ask what happens when artists translate ideas and practices from one cultural context to another: what gets lost and what gets learned in the adaptation? The research is funded by the Arts and Humanities Research Council, in partnership with the British Council and the support of Arts Council England, the project is a collaboration between Queen Mary University of London and the Federal University of Rio de Janeiro. Internationally recognised filmmaker Takumã is a member of the Kuikuro people, and grew up in the Ipatse village within the Alto Xingú Indigenous Territory in Mato Grosso state, central Brazil. Aged 18, he was introduced to a group of anthropologists studying the villages, and became keen to learn Portuguese. It was through the anthropologists’ documentary team that he also discovered a passion: filmmaking. such as The Day the Moon Menstruated, The Hyperwomen and Kariokas. Takumã became an Associate Artist of People’s Palace Projects in Autumn 2015.